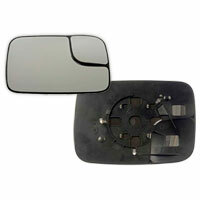 Dodge Ram mirror glass for '05-'09 truck with towing package and non-heated mirrors. Fits passenger side of truck. 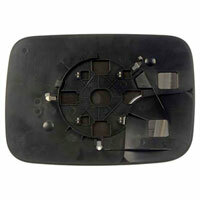 Rather than replacing the whole mirror if only the glass is broken, simply replace the mirror glass using hand tools. Replacement is possible without having to remove the mirror housing from your Dodge Ram truck. Installation instructions are included.